It’s time for yet another blog post! This time it’s about Skintifique Hydrating Gel Plus HS! As some of you already know, I suffer with Psoriasis since I was about 10 years old and my, my, it is a pain! 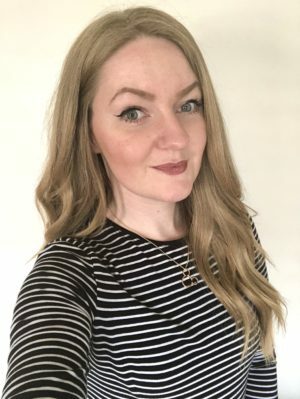 In my previous Psoriasis related post: My Updated Life with Psoriasis, you will find out all of the details. From when I found out what it was, how I treat it, how I keep it at bay and so on. So feel free to check that out, if you’re looking for more information on that! 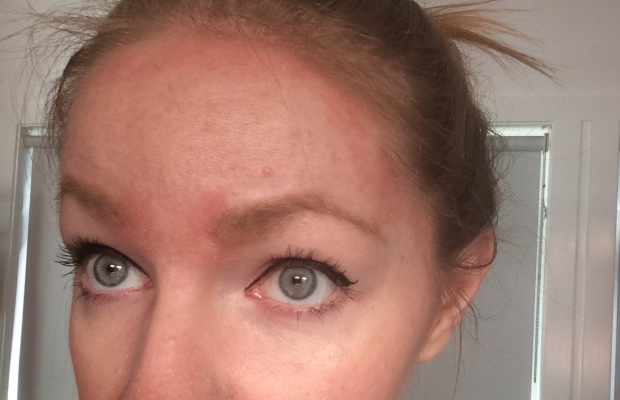 Let’s get on with the Skintifique Hydrating Gel Plus HS.. I recently got contacted by the brand Skintifique who are based in Paris. They are a company that really focus on skincare and how to really combat the struggles that people have with their skin. They have products for protecting your skin from Nickel and Metal irritants, all the way to soothing and extreme moisturising for the most fragile of skin. Skintifique contacted me as they had read that I suffer from Psoriasis and they thought that they could possibly help out by sampling me some of their Hydrating Gel Plus HS. I have given this a month so far to really see if my skin is benefiting from the product and if I truly like it. Here is a photo of what my Psoriasis can flare up to. It hasn’t been this flared up since I started using this product so far. 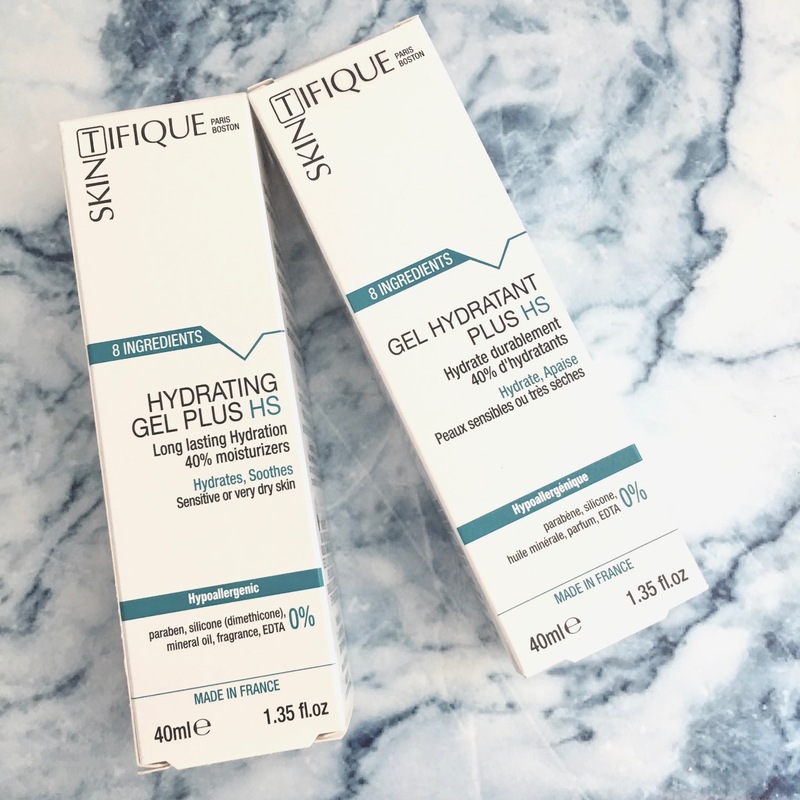 What did I think about the Hydrating Gel Plus HS? I am really glad to say that my skin adored this. It is a gel based product which has no scent which is great. It glides on easily onto the skin and you can really feel it sinking in, leaving a smooth and hydrated finish. Using this on my non-psoriasis prone areas has moisturised them even better than usual. Although my psoriasis has kept at bay apart from the odd one or two freak outs! My skin is a lot less flakey (gross, I know..) and not that inflamed after using this product. I would highly recommend this if you are looking for a new product. It doesn’t leave a lot of residue and really soothes and hydrates the many layers of skin you have! Not to mention that you can also use this head to toe. So no need for several different bottles of product confusing your skin! The ingredients in the Hydrating Gel Plus HS are 100% pure which means that there are: no parabens, metal-free (No nickel, chromium, cobalt..), fragrance free, EDTA free, BPA free, Sulphate free, Gluten free, Silicone free, the list goes on and on! It is also Eco-friendly, vegan, cruelty free (a huge plus) and Hypoallergenic. I cannot wait to take some of this on the plane with me to California next month! Do you suffer with any skin conditions? What do you use to treat them and keep it at bay?